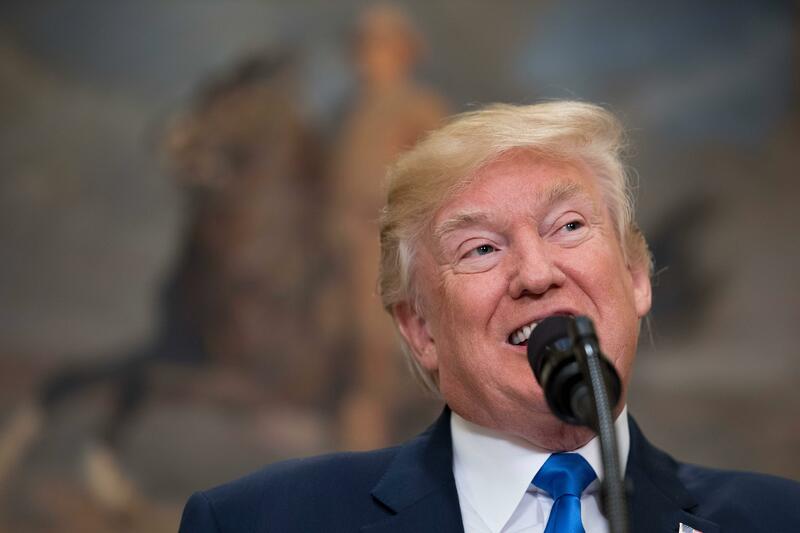 President Trump tweeted Thursday that his followers should "study what General Pershing of the United States did to terrorists when caught," apparently referencing a debunked claim relating to Gen. John "Black Jack" Pershing. The claim states that during the Moro Rebellion, which occurred in the aftermath of the Spanish-American War, Pershing used bullets dipped in pig's blood to kill groups of Muslim insurgents because, in the Islamic faith, ingesting pork is a sin. There is no evidence that this ever happened. While on the campaign trail, Mr. Trump made multiple references to Pershing's supposed military tactic. "They had tremendous Muslim terrorism-tremendous at 1918. So what's changing?" Mr. Trump asked in late February during the 2016 presidential primaries. "And you had General Pershing, he was a tough tough cookie and they caught 50 terrorists. Many many people were being killed. Very similar to what's happening today." "So General Pershing, they caught 50 terrorists," Mr. Trump said. "And they have a thing about pigs blood and pigs. And what they did is they cut open two pigs and they dumped the bullets into the pigs and they took the bullets and they stood the 50 men up and they shot each man. Shot each man with a bullet that was covered with pig's blood. But they didn't' shoot the 50th person. They gave him his bullet and said 'You go back and take this bullet back.'" The president's tweet appears to reference this fictional event, claiming that "There was no more Radical Islamic Terror for 35 years!" as a result of the tactic. Historians say the story Trump told is not true. "This story is a fabrication and has long been discredited," Texas A&M University historian Brian McAllister Linn, author of "Guardians of Empire: The U.S. Army and the Pacific, 1902-1940," told Politifact. "I am amazed it is still making the rounds."